Offering you a complete choice of products which include Fuel Additives such as Rust Preventives and Thermal Insulation Compound. To satisfy the diversified needs of our respected clients, we are manufacturing and supplying an assorted gamut of Fuel Additives. 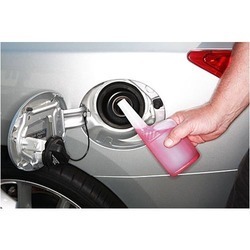 This fuel additive is added in petrol / diesel to improve fuel efficiency. Offered fuel additive is processed in our advance processing unit by using top quality chemicals as per the set standards. Our quality controllers' check this fuel additives on various defined parameters in order to assure it quality at customer’s end. Looking for Fuel Additives ?